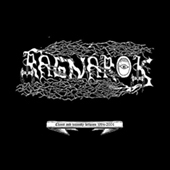 Formed in 1994 by drummer Jontho and then-bassist Jerv, RAGNAROK's first foray into a studio to record the ''Pagan Land'' demo didn't perhaps turn out quite as they would have wished due to their lack of experience. Undeterred they recorded a track for a compilation CD for local bands, and, being satisfied with both the result, and the resulting response from fans and media alike, the original demo was re-recorded and its release led to the band signing with the cult label Head Not Found and the appearance of first full-length RAGNAROK album ''Nattferd'' in 1995. Having been persuaded to sign with Head Not Found for a further two albums, Century Media's interest in the band arrived just too late. ''Arising Realm'', which featured DIMMU BORGIR's SHAGRATH on keyboards, and ''Diabolical Age'' were released in 1997 and 2000 respectively, and RAGNAROK steadily built up a reputation for dynamic live performances both on the tour circuit and at festivals. It was at this point that Regain Records stepped in with an offer, and recording began on the band's third full length album ''In Nomine Satanas'', which was engineered by Tommy TÃ¤gtgren, and released in 2002. Having lost the services of their vocalist Lord Arcamous, who was no longer able to commit to the band's schedule, TAAKE's Hoest stepped in as frontman and ''Blackdoor Miracle'', once again engineered by Tommy TÃ¤gtgren, was released in February of 2004 to huge critical acclaim. RAGNAROK then entered a period of stasis until 2008 when Jontho, by then the only remaining original member, decided that the time was right for RAGNAROK to come roaring back to life with a new lineup that included Jontho on drums, Hans Fyrst on vocals, DezeptiCunt on Bass and Brigge on guitars. And roar it did. New material was prepared with MARDUK's Magnus Devo Andersson at the engineering helm and ''Collectors of the King'' was released in 2010 increasing RAGNAROK's reputation as both writers and performers. Following a successful tour of Russia, Bolverk, who had been a session guitarist with RAGNAROK, came onboard as a full member replacing the departing Brigge. Which brings RAGNAROK up to the present day. 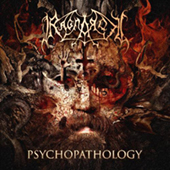 With their seventh full-length album ''Malediction'' released worldwide on Agonia Records in the Autumn of 2012 further consolidating their reputation with both fans and critics, a full schedule of interviews and features in both print and web press, and the band's first ever North American appearance under their belts, RAGNAROK is hitting the ground running and destroying everything in its path.